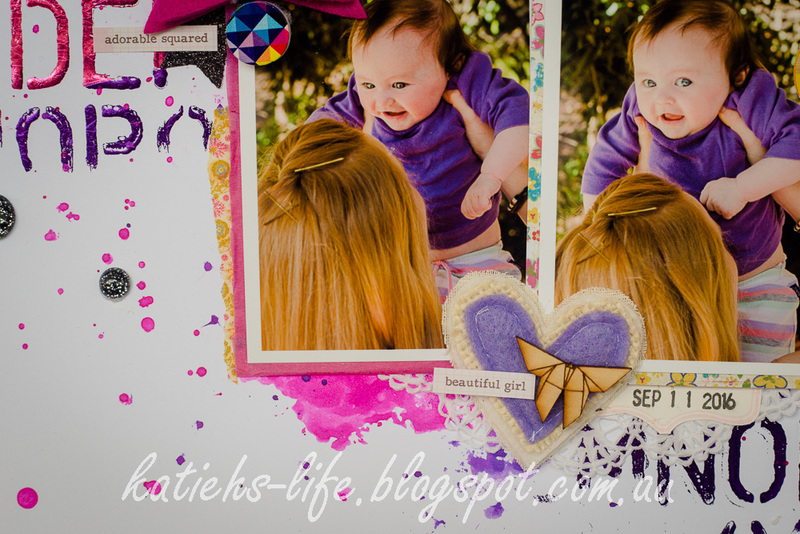 Here is another reasonably new page created using lots of the pretties from the most recent girly kit from Rainbow Splendour. I am especially in love with the oragami wood veneer butterflies! From the kit I have used: Pretty pin (well the pretty triangle circle that was on the pin that I accidentally pulled off...don't ask...), felt bow, wood veneer butterflies, glitter die cut star and epoxy circle. I also added this pretty purple Charms Creations heart. 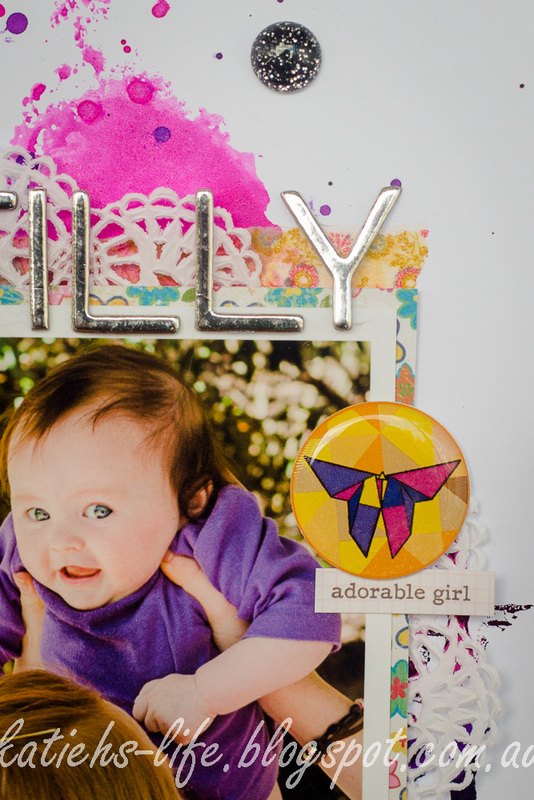 It layered beautifully with the butterfly and phrase sticker. I think this epoxy is one of my all time favourites from the RS kits! I just love the yellow against the pinks and purples. 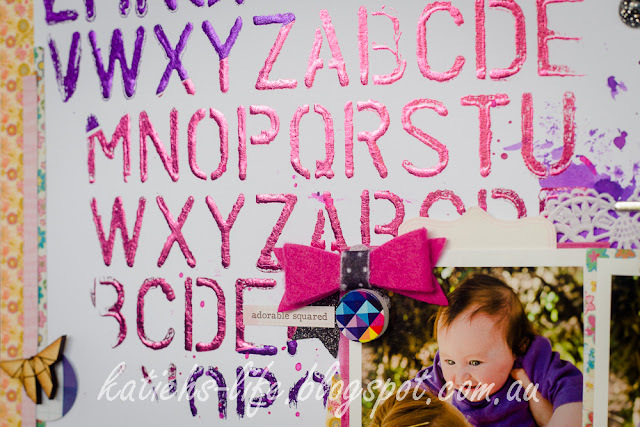 For my background I used some minc reactive paint through a stencil and then foiled with purple and hot pink. The foil adds some texture, colour and interest to the background without any bulk!